Ivins, born April 15, 1951, in Baltimore, Maryland, graduated from Nether Providence High School in Wallingford, Pennsylvania in 1969, and earned a Bachelor of Science degree in Aerospace Engineering from the University of Colorado at Boulder in 1973. She is Jewish-American. She went to work for NASA's Johnson Space Center, and worked mainly on orbiter displays and controls, before being assigned as a flight engineer in 1980 and co-pilot on NASA administrative aircraft. In 1984, Ivins was selected as an astronaut candidate. Nether Providence High School was a four-year public high school in Wallingford, Pennsylvania, United States, serving Nether Providence Township and the boroughs of Rose Valley and Morton. The school merged with Swarthmore High School in 1983 to form Strath Haven High School, based at the old Nether Providence campus. Nether Providence High School was a part of the Wallingford-Swarthmore School District. 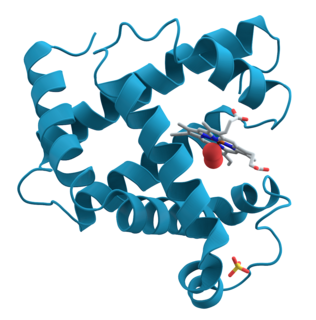 Wallingford is an unincorporated community in Nether Providence Township, Delaware County in Pennsylvania, United States. Founded in 1687, it is named for Wallingford, England. In 2007, Wallingford was named by Money Magazine as the 9th best place to live in the United States; two other towns in the area made the top 15. Most locations in Nether Providence use Wallingford's zip code. She has flown aboard five space missions: STS-32 (1990), STS-46 (1992), STS-62 (1994), STS-81 (1997), and STS-98 (2001). Ivins retired from NASA on December 31, 2010. STS-32 was the 33rd mission of NASA's Space Shuttle program, and the ninth launch of Space Shuttle Columbia. Launched on 9 January 1990, it marked the first use of Launch Pad A at Kennedy Space Center's Complex 39 since 1986; it also marked the first use of Mobile Launcher Platform No. 3 (MLP-3) in the Space Shuttle program. STS-32 was, at the time, the longest shuttle mission yet conducted, with a duration of nearly 11 days. Before STS-32, the only mission of the same duration had been STS-9 in 1983. On 20 January 1990, STS-32 executed the third night landing of the shuttle program. STS-46 was a NASA Space Shuttle mission using Space ShuttleAtlantis and was launched on 31 July 1992 at 9:56:48 am EDT. STS-62 was a Space Shuttle program mission flown aboard Space ShuttleColumbia. The primary payloads were the USMP-02 microgravity experiments package and the OAST-2 engineering and technology payload, both in the orbiter's cargo bay. The two-week mission also featured a number of biomedical experiments focusing on the effects of long duration spaceflight. The landing was chronicled by the 1994 Discovery Channel special about the Space Shuttle program and served as the show's opening. A C.F. Martin backpacker guitar was also flown aboard Columbia during the mission. The John F. Kennedy Space Center is one of ten National Aeronautics and Space Administration field centers. Since December 1968, Kennedy Space Center has been NASA's primary launch center of human spaceflight. Launch operations for the Apollo, Skylab and Space Shuttle programs were carried out from Kennedy Space Center Launch Complex 39 and managed by KSC. Located on the east coast of Florida, KSC is adjacent to Cape Canaveral Air Force Station (CCAFS). The management of the two entities work very closely together, share resources, and even own facilities on each other's property. NASA's Long Duration Exposure Facility, or LDEF, was a school bus-sized cylindrical facility designed to provide long-term experimental data on the outer space environment and its effects on space systems, materials, operations and selected spores' survival. It was placed in low Earth orbit by Space ShuttleChallenger in April 1984. The original plan called for the LDEF to be retrieved in March 1985, but after a series of delays it was eventually returned to Earth by Columbia in January 1990. The European Retrievable Carrier (EURECA) was an unmanned 4.5-tonne satellite with 15 experiments. It was a European Space Agency (ESA) mission and the acronym was derived from Archimedes' bathtub revelation "Eureka!". Wikimedia Commons has media related to Marsha Ivins . STS-7 was NASA's seventh Space Shuttle mission, and the second mission for the Space Shuttle Challenger. During the mission, Challenger deployed several satellites into orbit. The shuttle launched from Kennedy Space Center on June 18, 1983, and landed at Edwards Air Force Base on June 24. STS-7 was notable for carrying Sally Ride, America's first female astronaut. Jerry Lynn Ross is a retired United States Air Force officer and a former NASA astronaut. He is a veteran of seven Space Shuttle missions, making him the joint record holder for most spaceflights. His papers, photographs and many personal items are in the Barron Hilton Flight and Space Exploration Archives at Purdue University. He was inducted into the Astronaut Hall of Fame during ceremonies in May 2014. STS-61-B was NASA's 23rd Space Shuttle mission, and its second using Space Shuttle Atlantis. The shuttle was launched from Kennedy Space Center, Florida, on 26 November 1985. During STS-61-B, the shuttle crew deployed three communications satellites, and tested techniques of constructing structures in orbit. Atlantis landed at Edwards Air Force Base, California, at 16:33 EST on 3 December 1985, after 6 days and 21 hours in orbit. STS-37, the eighth flight of the Space Shuttle Atlantis, was a six-day mission with the primary objective of launching the Compton Gamma Ray Observatory (CGRO), the second of the Great Observatories program which included the visible-spectrum Hubble Space Telescope, the Chandra X-ray Observatory and the infrared Spitzer Space Telescope. The mission also featured two spacewalks, the first since 1985. STS-43, the ninth mission for Space Shuttle Atlantis, was a nine-day mission whose primary goal was launching the fourth Tracking and Data Relay Satellite, TDRS-E. The flight also tested an advanced heatpipe radiator for potential use on the then-future space station and conducted a variety of medical and materials science investigations. Shannon Matilda Wells Lucid is an American biochemist and a retired NASA astronaut. At one time, she held the record for the longest duration stay in space by an American, as well as by a woman. She has flown in space five times including a prolonged mission aboard the Mir space station in 1996; she is the only American woman to have served aboard Mir. STS-74 was the fourth mission of the US/Russian Shuttle-Mir Program, and the second docking of the Space Shuttle with Mir. Space Shuttle Atlantis lifted off from Kennedy Space Center launch pad 39A on 12 November 1995. The mission ended 8 days later with the landing of Atlantis back at Kennedy. It was the second in a series of seven straight missions to the station flown by Atlantis. STS-76 was NASA's 76th Space Shuttle mission, and the 16th mission for Atlantis. STS-76 launched on 22 March 1996 at 3:13 am EST from Kennedy Space Center launch pad 39B. STS-76 lasted over 9 days, traveled about 3,800,000 miles (6,100,000 km) while orbiting Earth an estimated 145 times, and landing at 5:28 am PST on 31 March 1996 at Edwards Air Force Base runway 22. Richard James Hieb is a former NASA astronaut and a veteran of three space shuttle missions. He was a mission specialist on STS-39 and STS-49, and was a payload commander on STS-65. After leaving NASA he worked at AlliedSignal and Orbital before spending 14 years as an executive at Lockheed Martin. He is currently a faculty member in the University of Colorado Boulder Smead Aerospace Engineering Sciences Department. Ellen Louise Shulman Baker, M.D., M.P.H. is an American physician and a NASA astronaut. Baker serves as Chief of the Education/Medical Branch of the NASA Astronaut Office. Bonnie Jeanne Dunbar is a former NASA astronaut. She retired from NASA in September 2005 then served as president and CEO of The Museum of Flight until April 2010. From January 2013 - December 2015, Dr. Dunbar lead the University of Houston's STEM Center and was a faculty member in the Cullen College of Engineering. Currently, she is a professor of aerospace engineering at Texas A&M University and serves as Director of the Institute for Engineering Education and Innovation (IEEI), a joint entity in the Texas A&M Engineering Experiment Station (TEES) and the Dwight Look College of Engineering at Texas A&M University. Ronald John Grabe, , is a former NASA astronaut. Linda Maxine Godwin Ph.D. is an American scientist and retired NASA astronaut. Godwin joined NASA in 1980 and became an astronaut in July 1986. She retired in 2010. During her career, Godwin completed four space flights and logged over 38 days in space. Godwin also served as the Assistant to the Director for Exploration, Flight Crew Operations Directorate at the Johnson Space Center. Since retiring from NASA, she accepted the position of Professor in the Department of Physics and Astronomy at the University of Missouri. Kevin Richard Kregel is an American former astronaut, and former member of the Space Launch Initiative Project at the Lyndon B. Johnson Space Center. Donald Alan Thomas, Ph.D. is an American engineer and a former NASA astronaut. STS-129 was a NASA Space Shuttle mission to the International Space Station (ISS). Atlantis was launched on November 16, 2009 at 14:28 EST, and landed at 09:44 EST on November 27, 2009 on runway 33 at the Kennedy Space Center's Shuttle Landing Facility. NASA Astronaut Group 10 was a group of 17 astronauts that were selected in 1984 and consisted of seven pilots and ten mission specialists. Although selected in 1984, no member of the group would fly until 1988 due to the Challenger disaster and the resulting grounding of the Space Shuttle fleet. ↑ "Astronaut Bio: Marsha S. Ivins (01/2011)". www.jsc.nasa.gov. ↑ Becker, Joachim. 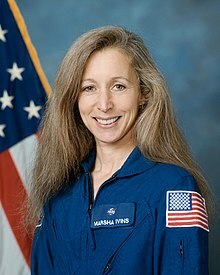 "Astronaut Biography: Marsha Ivins". www.spacefacts.de.